I was told the last medal on the medal bar of German Konteradmiral Erwin Waßner could be the 1935 King George V Silver Jubilee Medal. Waßner was the Naval Attaché in London 1933-1937 and I found out that foreigners were also awarded this medal. Is there a list of the recipients of this medal that could perhaps confirm Waßner receiving it? Or perhaps someone can confirm this is the medal in question on his medal bar (does the ribbon match? Because the medal details are not visible unfortunately). 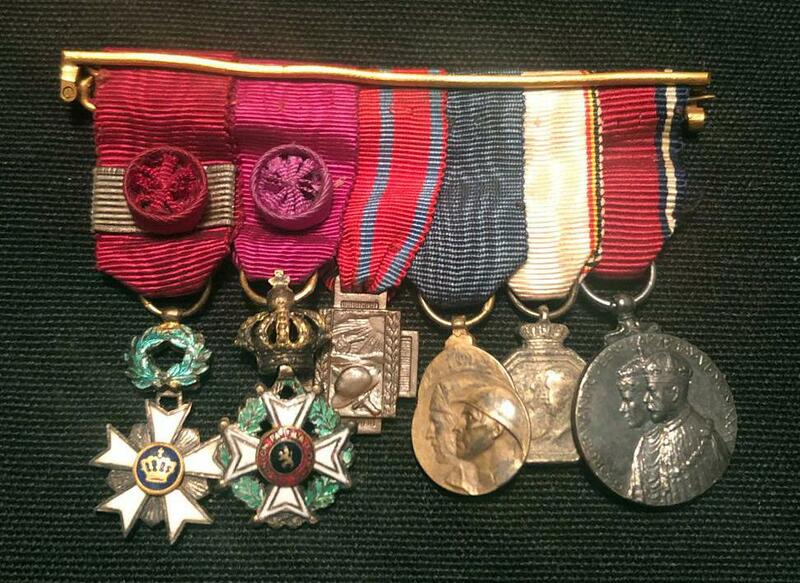 There was a German medal bar with a Coronation medal to George the VIth sold on DNW a few months ago. I did some research on George the VIth medals to foreigners and could not find any on the roles of Coronation medals awarded. As the Naval Attache in London at this time he could have attended the Coronation and been awarded this medal. If he was awarded this medal, it should be in his records in Germany. Good luck in your search. Thank you for your efforts Gordon. Do you have a web reference to the DNW bar description? Sadly and most frustratingly, I have tried to locate George V Silver Jubilee and George VI Coronation foreigners' award rolls for years without success. For the George V Silver Jubilee I've found one French group mounted on a bar and 2 Italian unmounted groups [and now maybe Waßner's mounted group] with it. Regarding the George VI Coronation medal I know of 2 Italian groups [one mounted and one unmounted], a Romanian group [bar mounted] and a Bulgarian group [unmounted] with this medal. I’ve names for none of the original owners. 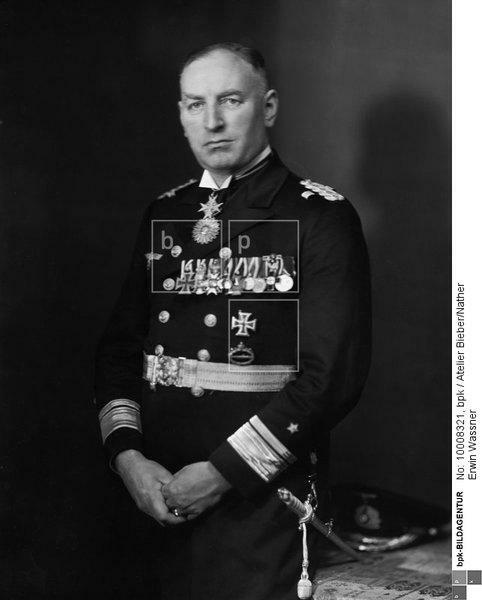 By the way--after several attempts to ID the award hanging under Waßner's PLM finally discovered it is a Peru Order of the Sun perhaps awarded in 1931-3 while he commanded Karlsruhe during a naval training cruise courtesy call in Callao . He also received a Portuguese Red Cross Medal for Merit [date unknown to me] which appears just before the putative George V Silver Jubilee medal. Yes I do. It was Lot 631 sold on 5 December, 2018. It is an unattributed medal bar. I was able to obtain a list of all of the staff at the German Embassy in London at the time of the coronation but no one on the list seemed to fit this bar. In an article in the OMSA Journal Vol. 34 March 1983 page 12 it says the following "In May 1937 Admiral Raeder appointed Admiral Schultze the Navy's special Representative to the coronation of King George VI of England". Admiral Schultze probably had a staff with him as well but I have not been able to find out who was on his staff for the coronation. The German Foreign office directed me to a series of books that might list who attended George the VIth coronation as part of the German contingent but I do not have any means of accessing those books at this time. I didn't bid on this bar because I had never come across a foreign bar with a British coronation medal on it before. Your thread is of real interest to me as you have this great list of foreign medals bars that include British coronation medals. I can not post a picture of this bar to this thread as DNW doesn't let me download pictures to my PC. This one (photo courtesy of DNW)? I illustrate below a recently acquired Belgian miniature group of six including a 1935 Jubilee. I believe the group to be incomplete as whilst there are two Great War medals - Croix de Feu and Engages Volontaires there are no War or Victory Medals. The rosette & galon on the Order of the Crown indicate a 1st Class/Grand Cordon award. The group may well be that of a diplomat. Very nice indeed, and certainly not your run of the mill 'WWI group'. Pity about the missing two. Why Collect? - The Best Answer.